Pedobacter heparinus (Payza and Korn 1956) Steyn et al. 1998 comb. nov. is the type species of the rapidly growing genus Pedobacter within the family Sphingobacteriaceae of the phylum ‘Bacteroidetes’. P. heparinus is of interest, because it was the first isolated strain shown to grow with heparin as sole carbon and nitrogen source and because it produces several enzymes involved in the degradation of mucopolysaccharides. All available data about this species are based on a sole strain that was isolated from dry soil. Here we describe the features of this organism, together with the complete genome sequence, and annotation. 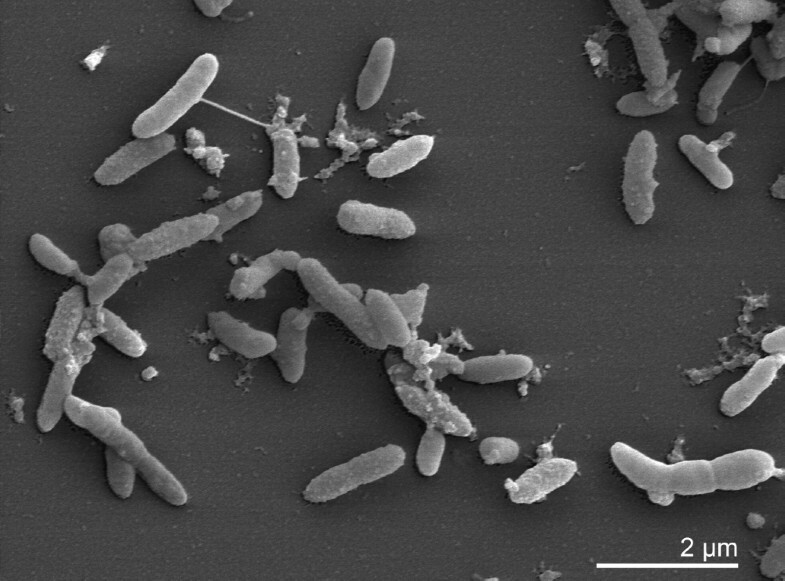 This is the first report on a complete genome sequence of a member of the genus Pedobacter, and the 5,167,383 bp long single replicon genome with its 4287 protein-coding and 54 RNA genes is part of the Genomic Encyclopedia of Bacteria and Archaea project. Pedobacter heparinus strain HIM 762-3 (DSM 2366 = ATCC 13125 = JCM 7457 and other culture collections) is the type strain of the species, and was first described in 1956 by Payza and Korn as Flavobacterium heparinum (basonym) . The authors of the original species description provided no type strain designation when depositing their isolate in the American Type Culture Collection (ATCC 13125T). In the Approved Lists of Bacterial Names (1980) the type strain of F heparinum appears as ATCC 13125T. Strain HIM 762-3T was deposited in the DSMZ culture collection by Walter Mannheim (Marburg) in 1982, and ATCC is using the same strain designation for their ATCC 13125T. Following successive transfers of this species to the genera Cytophaga  and Sphingobacterium  the present name P. heparinus was proposed by Steyn et al. in 1998 . Enzymes produced by P. heparinus could be successfully used for the study of the structure of heparin and chondroitin, important animal mucopolysaccharides with sulfate groups. Here we present a summary classification and a set of features for P. heparinus HIM 762-3T (Table 1), together with the description of the complete genomic sequencing and annotation. Until now the species P. heparinus has comprised only one strain, HIM 762-3T. Two closely related strains, Gsoil 042T and LMG 10353T, were recently described and affiliated to the species P. panaciterrae  and P. africanus , respectively, based on low DNA-DNA binding values to the type strain of P. heparinus. Unclassified strains with significant (98%) 16S rRNA sequence similarity to these species were observed from Ginseng field soil (AM279216), dune grassland soil  and activated sludge samples . 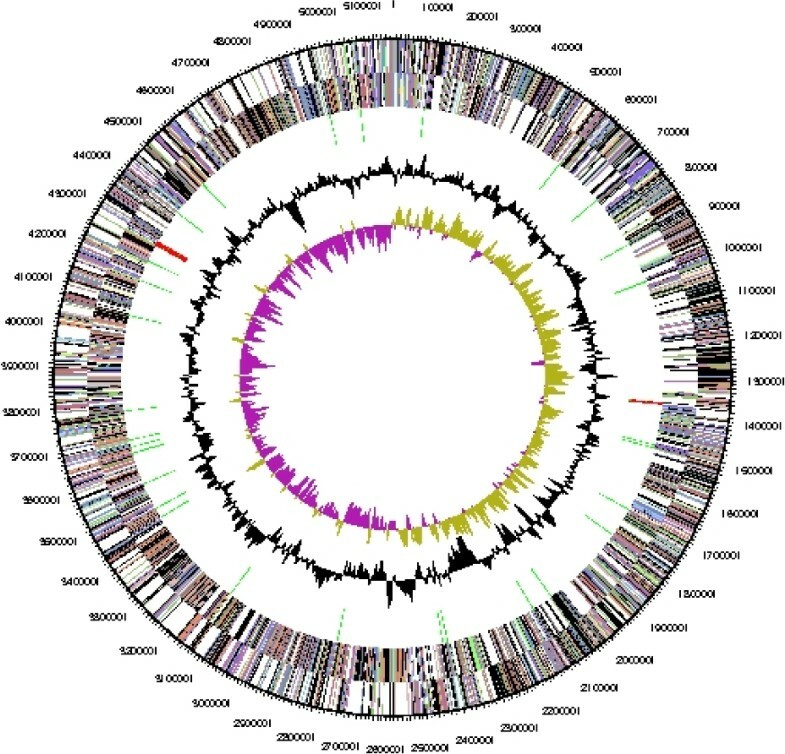 Environmental genomic surveys indicated highly similar (96% 16S rRNA gene sequence identity) phylotypes in BAC libraries generated from Brassica rapa subsp. pekinensis (field mustard) and Sorghum bicolor (milo) (ED512136, DX082358, BZ779630). A draft genome sequence of the unclassified Pedobacter strain BAL39 isolated from the Baltic Sea was recently determined by the J. Craig Venter Institute (Genbank NZ_ABCM00000000). Figure 1 shows the phylogenetic neighborhood of P. heparinus strain HIM 762-3T in a 16S rRNA based tree. The sequences of the three 16S rRNA gene copies in the genome are identical and differ by only one nucleotide from the previously published 16S rRNA gene sequence derived from DSM 2366 (AJ438172). 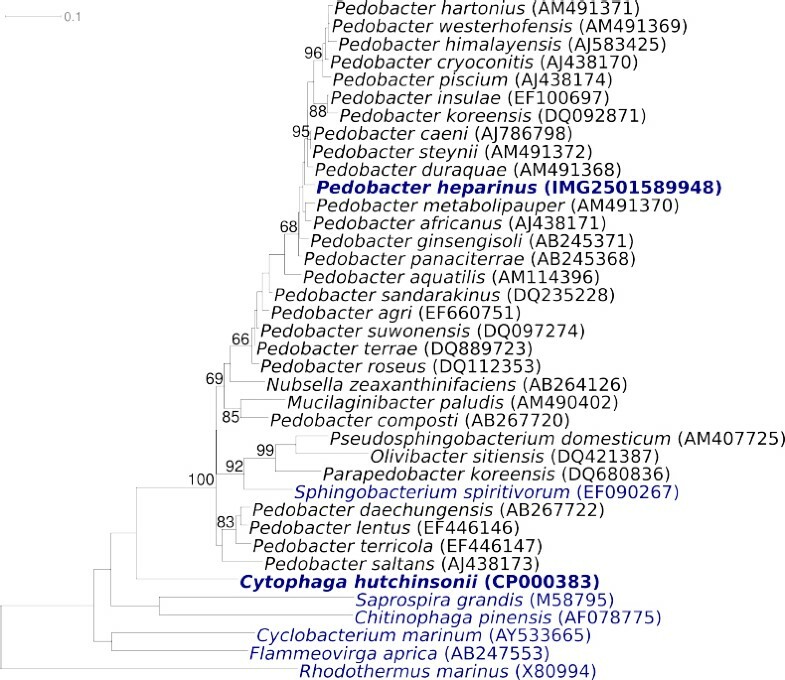 Phylogenetic tree of P. heparinus strain HIM 762-3T and the type strains of the genus Pedobacter, as well as all type strains of the other genera within the family Sphingobacteriaceae, inferred from 1373 aligned characters [8,9] of the 16S rRNA gene under the maximum likelihood criterion . The tree was rooted with the type strains of the other families within the order ‘Sphingobacteriales’. The branches are scaled in terms of the expected number of substitutions per site. Numbers above branches are support values from 1000 bootstrap replicates if larger than 60%. Lineages with type strain genome sequencing projects registered in GOLD  are shown in blue, published genomes in bold. P. heparinus cells are Gram-negative, non-flagellated, non-spore-forming, flexible rods with rounded or slightly tapered ends. Cell width is 0.4–0.5 µm and cell length can vary from 0.7 to 6 µm. Protrusions can be observed on the cell surface (Figure 2). Some authors have reported a gliding motility . Colonies are 1–4 mm in diameter and produce a yellowish, water insoluble, non-fluorescent pigment upon growth on nutrient agar . Growth occurs at 10 and 35°C, but not above 37°C. The optimal temperature for growth is between 25 and 30°C . The pH range for growth is 7–10 . Strain HIM 762-3T is strictly aerobic and prefers carbohydrates and sugars as carbon sources. Neither nitrate nor nitrite is reduced. The strain is catalase and oxidase positive. Acetoin is produced from pyruvate, but indole is not produced from tryptophan. HIM 762-3T is negative for gelatinase, urease and DNase, but esculin and Tween 20–80 are hydrolyzed; acid and alkaline phosphatases are present . The strain does not require vitamins, but L-histidine is essential for growth . A special feature of strain HIM 762-3T is its ability to degrade acidic sulfated mucoheteropolysaccharides, like heparin and chondroitin that are formed in various animal tissues. Enzymes involved in the degradation of heparin are only produced after induction by the substrate and are formed intracellularly . Several different types of enzymes are involved in the complete degradation of heparin, including heparinases, glycuronidase, sulfoesterases and sulfamidases . The first step in the degradation of heparin is catalyzed by heparinase (EC 4.2.2.7), an α1-4-eliminase which acts specifically on the glycosidic linkage between N-sulfated D-glucosamine and sulfated D-glucuronic acid (or L-iduronic acid). The use of heparinase in the elucidation of the structure of heparin, blood deheparinization or enzymatic assay of heparin have been proposed . The genetics of heparin and chondrotitin degradation in P. heparinus was studied extensively and a high-level expression system for glycosaminoglycan lyases in this species has been developed . Three different genes encoding heparinases (hepA-C) and two different genes for chondroitinases (cslA and cslB) could be characterized . The crystal structures of the chondroitinase B  and heparinase II  of P. heparinus were resolved at high resolution. The peptidoglycan structure of strain HIM 762-3T is still unknown. The cellular fatty acid pattern is dominated by saturated, iso branched and hydroxylated acids. The most abundant non-polar cellular fatty acids are iso-15:0, 16:1 χ7c, iso-17:0 (3-OH), and iso-15:0 (2-OH) . Large amounts of long-chain bases are formed, one of which has been identified as dihydrosphingosin . Strain HIM 762-3T contains menaquinone MK-7. This organism was selected for sequencing on the basis of each phylogenetic position, and is part of the Genomic Encyclopedia of Bacteria and Archaea project. The genome project is deposited in the Genome OnLine Database  and the complete genome sequence in GenBank. Sequencing, finishing and annotation were performed by the DOE Joint Genome Institute (JGI). A summary of the project information is shown in Table 2. P. heparinus strain HIM 762-3T, DSM 2366, was grown in DSMZ medium 1 (Nutrient Brot) at 28°C. DNA was isolated from 1–1.5 g of cell paste using Qiagen Genomic 500 DNA Kit (Qiagen, Hilden, Germany) with a modified protocol for cell lysis, adding additonal 100 µl lsozyme; 500 µl chromopeptidase, lysostaphin, mutanolysin, each, to the standard lysis solution, but reducing proteinase K to 160µl, only. Lysis solution was incubated overnight at 35°C on a shaker. The genome was sequenced using Sanger sequencing platform only. All general aspects of library construction and sequencing performed at the DOE JGI can be found on their website. The Phred/Phrap/Consed software package was used for sequence assembly and quality assessment. After the shotgun, stage reads were assembled with parallel phrap (High Performance Soft ware, LLC). Possible mis-assemblies were corrected with Dupfinisher  or transposon bombing of bridging clones (Epicentre Biotechnologies, Madison, WI). Gaps between contigs were closed by editing in Consed, custom primer walk or PCR amplification (Roche Applied Science, Indianapolis, IN). A total of 1,897 finishing reactions were produced to close gaps and to raise the quality of the finished sequence. The completed genome sequences of P. heparinus contains 45,821 Sanger reads, achieving an average of 7.5 x sequence coverage per base with an error rate less than 1 in 100,000. The genome is 5,167,383 bp long and comprises one main circular chromosome with a 42.1% GC content (Table 3, Figure 3). Of the 4,341 genes predicted, 4,287 were protein coding genes, and 54 RNAs. Thirty-five pseudogenes were also identified. A minority of the genes (38.1%) were assigned a putative function while the remaining ones were annotated as hypothetical proteins. The properties and the statistics of the genome are summarized in Table 3. The distribution of genes into COGs functional categories is presented in Table 4. We would like to gratefully acknowledge the help of Maren Schröder for growing P. heparinus cultures and Susanne Schneider for DNA extraction and quality analysis (both at DSMZ) This work was performed under the auspices of the US Department of Energy Office of Science, Biological and Environmental Research Program, and by the University of California, Lawrence Berkeley National Laboratory under contract No. DE-AC02-05CH11231, Lawrence Livermore National Laboratory under Contract No. DE-AC52-07NA27344, and Los Alamos National Laboratory under contract No. DE-AC02-06NA25396, as well as German Research Foundation (DFG) INST 599/1-1. Biological Agents: Technical rules for biological agents <www.baua.de> TRBA 466.